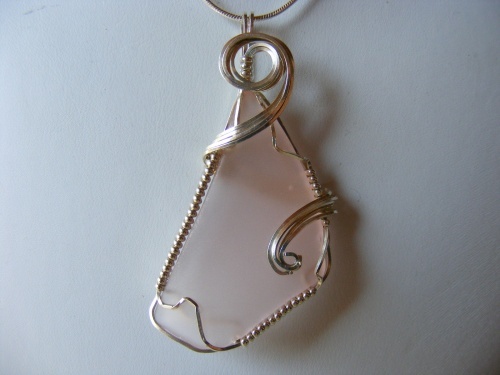 This large piece of pink seaglass is so pretty and a rare color to find. Sculpted in sterling silver curls makes this one of a kind pieces. Comes with a sterling silver chain.